We believe that perseverance, faith, and action are the key factors to success, which is why we have the Chain of Prayer. 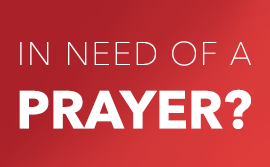 The Chain of Prayer encourages you to focus on overcoming a particular problem or achieving a goal you want, through consistent attendance at one of our meetings that is most helpful to you. For example, if you have a financial goal, you will attend the Independence Project meetings every Monday for a number of consecutive weeks in order to focus on achieving the results you want in that area. By doing the Chain of Prayer, you will apply the messages you learn from each meeting and use your faith in God to overcome whatever problem you have been facing. How do I start a Chain of Prayer? The first thing you need to do is think about the main problem you are facing at the moment and select the day or days that you will make your chain. By doing this, you will put your full focus into overcoming this particular problem and then, once this is solved, start a new chain for another problem. This will enable you to tackle your problems one by one. Furthermore, it is required that you attend a Sunday meeting every week, as this will help you stay strong in your faith and continue your Chain of Prayer. If you want 2018 to be the best year of your life, take part in a Chain of Prayer and see a transformation in your life! If you would like more information, please call our 24-hr Helpline on 086 154 5567 or speak to a pastor at your local UCKG HelpCentre.